Will Mark Hughes rescue QPR? Queens Park Rangers were heading only one way under the stewardship of Neil Warnock. The team had not won in several matches and were perilously close to the relegation places. In fact the only reason the team were not already in the relegation places was because the team had somehow, against all the odds, and not without immense fortune, managed to achieve victories earlier in the season despite not playing well, for example when they defeated Chelsea at Loftus Road. Neil Warnock was let go by Tony Fernandes, the rich Queens Park Rangers owner, who had decided that the team were in freefall and a change was required. The change was a dignified one with Neil Warnock having not a bad word to say about his former club and Tony Fernandes wishing the ex manager well and inviting him back to Loftus Road whenever he wanted, extending his everlasting thanks to Neil Warnock for navigating the treacherous waters of the Championshop and achieving Queens Park Rangers promotion to the Premiership. 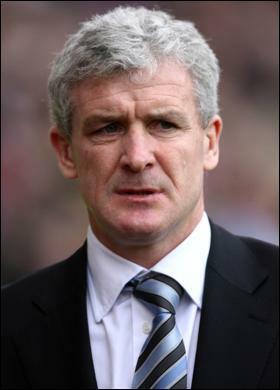 Mark Hughes was appointed with a single immediate. The Welshman was charged with keeping the London club in the Premiership. Once that is achieved it is qithout question that Tony Fernandes has far bigger aims for his club, probably envisaging that they can compete in the upper realms of the Premiership and establishing themselves as a credible Premiership force. The club is based in London and has a faithful following, something which Tony Fernandes will no doubt be hoping to build upon. The club has enormous potential and although it might be a million miles away from being at the level of Chelsea, Tottenham or Arsenal it might be said that the club has legitimate claims to reach a similar level to that of Fulham. A stable, credible and somewhat impressive second tier Premiership power. The club could rest just outside of the big six or seven clubs in the country yet still develop into a club worth following. With large scale investment even that could be surpassed, although it is unclear as yet whether Tony Fernandes is willing to invest, or find finance for, such large amounts of investment. Mark Hughes is likely to try to attract decent players such as Christopher Samba, from Blackburn, and Henrique from Santos. Once survival in the Premiership has been assured the club will then probably try to attract an even better set of players, to move onwards and upwards, as they say. Right now, however, Queens Park Rangers will be happy with survival at the end of the season.